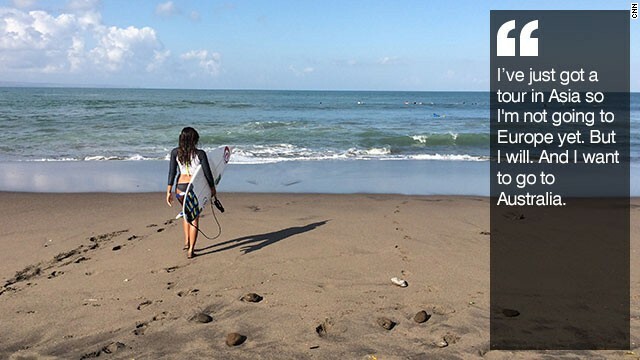 (CNN) -- It's a surfer's paradise -- but Diah Rahayu is out on her own when it comes to professional women's wave-riding in Bali. Unlike many Indonesian girls, she's right at home on the beach. "I think my soul is already in the water. The ocean just calls me, 'Come, come, come.' When I go to the beach, I feel like it's my home," she tells CNN's Human to Hero series. 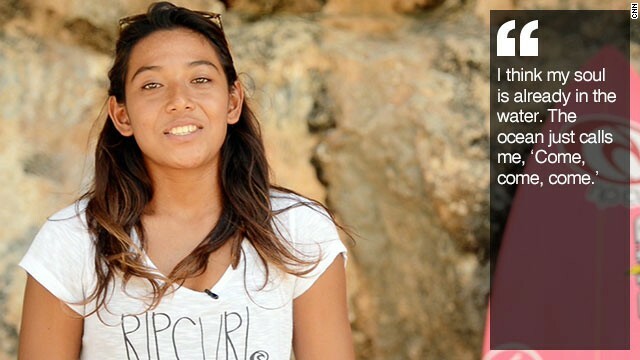 The 20-year-old is Bali's only native female pro surfer. The Indonesian island is a mecca for wave-seekers and beach-loving tourists, but of the locals it's mainly men who mix it up with the visitors. "A lot of my friends say, 'Why do you like surfing? Surfing is dangerous.' It's not dangerous for me. It's very fun," Rahayu says. 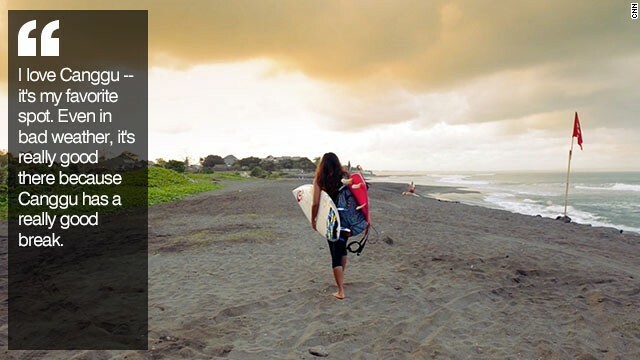 "Indonesian girls are scared of getting dark skin and don't want to go surfing. And I'm the luckiest one, I love the beach." Born in Seminyak, a coastal town in southern Bali that has been absorbed by the major tourist resort of Kuta, Rahayu has lived by the sea all her life. "So many Australians come and act like bad tourists and make everything dirty," she told Surfing Life website last month. "But no matter what I would never leave Bali, because I can surf amazing waves all-year-round and you can't do that anywhere else." Her dad was a renowned local surfer, but he wasn't so keen when she said she wanted to follow in his footsteps. So the 12-year-old went behind his back and learned from her uncle instead. Two years later, she made a name for herself at a local talent contest and earned a sponsorship deal. 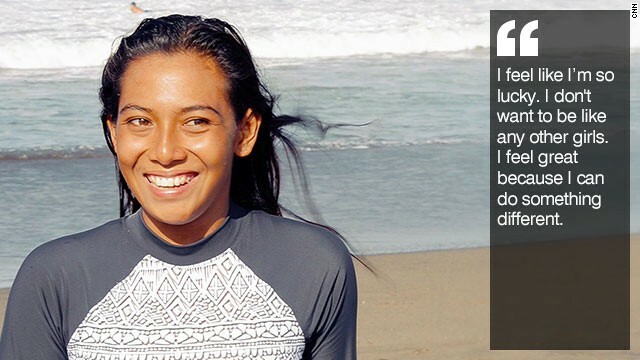 The middle of three sisters, Rahayu says surfing has given her an identity. 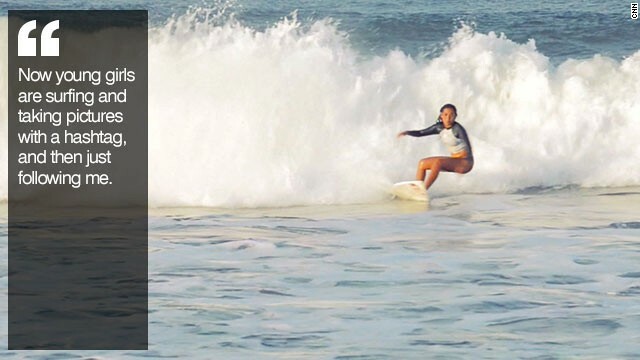 Unlike her father, who had to give up the sport to support the family, she has been able to combine competing with her university studies thanks to funding from Rip Curl -- one of surfing's major brands. "I feel so lucky. No-one from Bali can surf. I don't want to be like any other girls," she says. "I feel great because I can do something different. 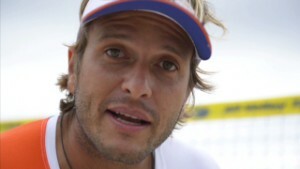 Everything in my life now is about surfing." 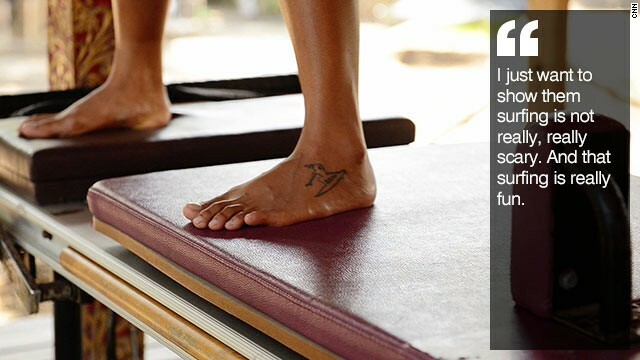 Rahayu's major breakthrough came when she won a bronze medal for Indonesia at the 2008 Asian Beach Games, which were held in Bali. "I met the president, had an interview with him and we talked a lot," she recalls. "It was really cool. And my mom and my dad were proud of me, and my name was in every newspaper." The silver medal winner that year was Yasniar Gea. 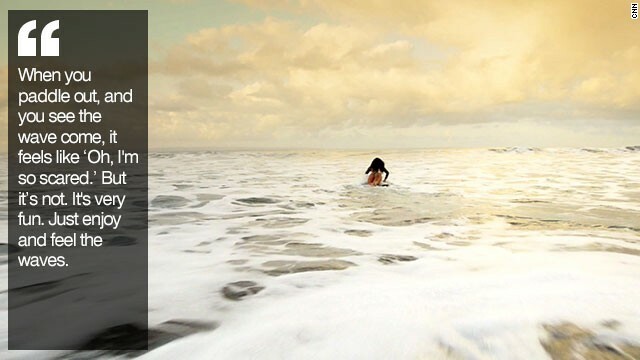 From the island of Nias, off the coast of Sumatra, she has gone on to become the most successful female Indonesian surfer. Joining them is still a pipe dream; she acknowledges she has yet to pay her dues on the Asian circuit. "I want to win this tour. I want to focus on that -- it's my dream," Rahayu says. "I'm not going to Europe yet, but I will. And I want to go to Australia, maybe next year." But wherever she ends up, there's no place like home -- where already she's inspiring young girls to take up surfing. "It feels so amazing, because now young girls are surfing and then taking pictures with a hashtag, and then just following me," she says. "It's really good to get more girls surfing in Indonesia. I'm just trying to keep encouraging everyone to get in the water and enjoy life."